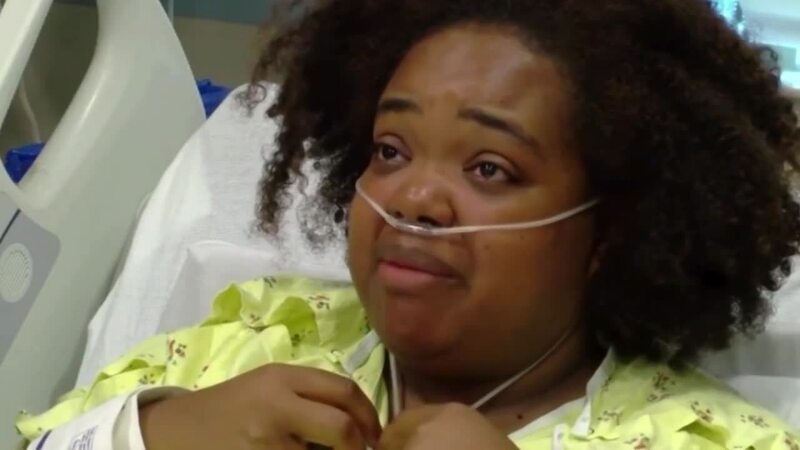 INDIANAPOLIS -- An Indianapolis woman who survived a duck boat accident in Missouri that killed 9 of her family members says in the moments after the boat sank she thought she was going to die. Tia Coleman was on the boat with 10 of her family members when the storm hit, causing their boat to capsize and everyone to go into the water. 17 people were killed, 16 passengers and 1 crew member, according to the National Transportation Safety Board Friday evening. Nine of those victims were Tia's family members. Tia and another young boy were the only two from the Coleman family to survive. Tia works for the Marion County Prosecutor's office. The department released the following statement Saturday. We are devastated by the unimaginable loss suffered by our friend and colleague Tia Coleman. The thoughts and prayers of our entire MCPO family are with Tia, her extended family and friends, and the other survivors of this tragic incident. Tia recalled the terrifying moments in an interview with KOLR, saying everything went silent when she went underwater. She said she remembers begging to die - until she felt herself float to the surface. “I can't see anybody, I couldn't hear anything, I couldn't hear screams, it felt like I was out there on my own and I was yelling, screaming and finally I said, 'Lord just let me die, let me die, I can't keep drowning, I just can't keep drowning,' that's what I felt," Coleman. "Then I just let go and I started floating. I float to the top I felt the water temperature raise to warm. I felt the temperature rise I jumped up and I saw the big boat that sits out there, I don't know what kind of boat, it was huge though." Coleman said when she got to the surface she could see people throwing out life jackets. Witnesses say the family may not have even been on that duck boat if it wasn't for a ticket mix-up. Tracey Beck, of Kansas City, told the Associated Press that she saw the Coleman family waiting in line for the duck boat ride. After they stopped for their photo, she said a ticket taker realized the family should have boarded at a different location and reassigned them. Investigators blamed the stormy weather for the accident Thursday evening on Table Rock Lake. Winds at the time the boat capsized were blowing as hard as 65 miles per hour, according to the National Weather Service. Cell phone video obtained by Scripps affiliate KSHB in Kansas City shows the conditions the duck boat experienced during a storm early Thursday evening. The video shows waves rocking two duck boats. One made it back to shore. The other sank. Governor Eric Holcomb released a statement Saturday morning offering up prayers and condolences to the Coleman family for their loss.